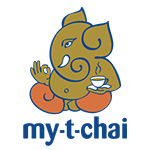 My T Chai is a small company with a big heart, as truly home-grown businesses often are. We began in a small kitchen with individual pots of chai brewed for visiting family and friends who encouraged growth so enthusiastically that before long, it had spilled over to the dining room table and eventually, turned into a chai kingdom. Integrity is a big deal in our family, and we make our teas with real ingredients. No preservatives, no artificial flavourings, just authentic spices, tea leaves and a whole lot of love. And that, we believe, makes all the difference in the world. Just put on the kettle and see for yourself. In keeping with our initial vision to create a chai tea company that offers healthy alternatives to the existing brands, we pride ourselves in providing the healthiest and best teas available by utilising the finest ingredients in an uncomplicated way. My T Chai is authentic masala chai, made simple. Combining Indian and African traditions, our teas are a blend of natural flavour, health and enjoyment. Free from additives and synthetic compounds. Our recipes have been refined over time to yield a delicate balance of sweet and hot flavours in every cup, certain to tantalize your palette, comfort and relax, leaving you feeling at peace with yourself and the world. Our Rooibos chai is a blend of choice spices and superior grade rooibos tea, is a great caffeine free and antioxidant rich cup of chai. Let the bag steep for 5 minutes to let the flavours develop fully. Feel free to add your favourite milk or non-dairy alternative and your own choice of sweetener. Superior Rooibos tea, cinnamon bark, cardomon seed, ginger root, clove bud, black pepper seed and love. Our Black Tea Chai blend of warm spices with a solid blend of African and traditional Indian Assam tea gives you that classic cup of chai! Warm the cup (or pot) very well and let the bag steep for a full 5 minutes to let the flavours fully develop. This tea is best had with milk and a sweetener of choice, to bring out the best of the flavours. A unique blend of Assam and African teas, cinnamon bark, cardomon seed, ginger root, clove bud, black pepper seed and love. Our Yogi Chai is a unique blend of choice spices and herbs to give you a superior cleansing healthful drink, rich in antioxidants and free of caffeine. We suggest you heat the cup (or pot) and leave the bag in for as long as you can. This will give you a wonderfully strong spicy drink. Enjoy with or without milk (we love it with full cream milk) and sweeten to taste. Try a little honey.This is a wonderful coffee and black tea alternative. Cinnamon bark, cardomon seed, ginger root, chicory, clove bud, black pepper seed and love. Our Green Rooibos Chai is a super antioxidant rich cup of chai. The subtle combination of choice spices and superior grade unfermented rooibos gives you a delicate caffeine free cuppa. It is a smooth, gentle, calming tea. Let the bag steep for 5 minutes at least to let the flavours develop fully. Try it with honey. Superior Green (unfermented) Rooibos tea, cinnamon bark, cardomon seed, ginger root, clove bud, black pepper seed and love. Honeybush Chai is as a wonderful addition to our range of caffeine free and antioxidant rich range of teas. 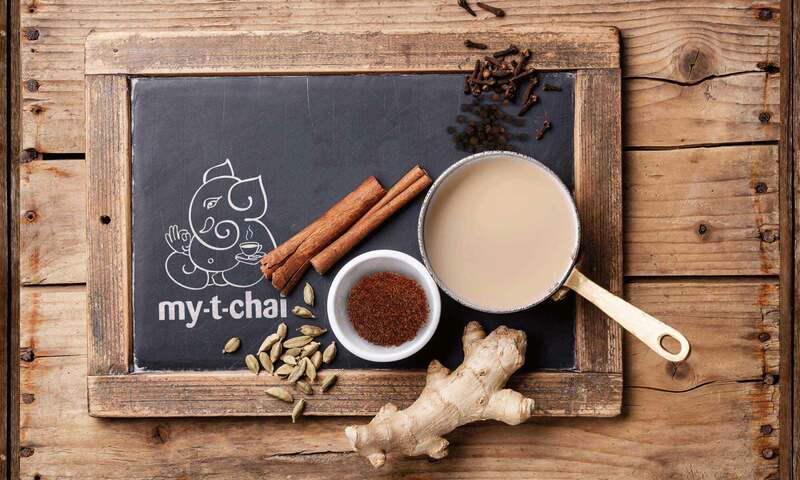 We use our same unique blend of choice spices to give you a deliciously refreshing cup of chai. We suggest you heat the cup (or pot) and leave the bag in for as long as you can. This will give you a wonderfully strong spicy drink. Enjoy with or without milk (we prefer without), and do try a little honey. Honeybush, Cinnamon bark, cardamom seed, ginger root, clove bud, black pepper seed. Our Chocolate chai blends Rooibos, spices with indulgent and anti oxidant rich raw cacao to give you a delicious hint of decadence. As always let the bag steep for 5 minutes to let the flavours develop fully. This tea is delicious with milk and a sweetener of choice, to bring out the best of the flavours. Rooibos, cinnamon bark, cardamom seed, cacao seed, vanilla pod, ginger root, clove bud, black pepper seed. It’s always best to warm the cup (or pot) very well and let the bag steep for a full 5 minutes to let the flavours fully develop. This tea is best had with milk and a sweetener of choice, to bring out the best of the flavours. Rooibos tea, cinnamon bark, cardamom seed, ginger root, Vanilla pod, clove bud, black pepper seed. 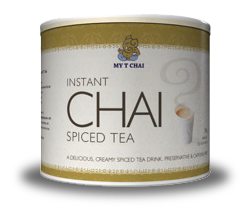 My T Chai Instant chai is a convenient blend of flavour, warmth and comfort, that is free from most of the synthetic compounds and additives found in processed modern beverages. Just add water, stir and enjoy a spicy latte style drink. Perfect anytime. My T Chai Instant dairy free chai is our nurturing and delicious cane sugar free, spiced latte style drink, blended especially for Chai lovers. 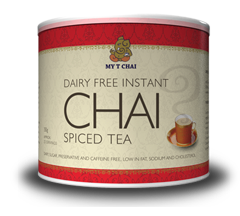 Free too from lactose, caffeine and preservatives, low in fat and cholesterol, My T Chai instant dairy free chai is suitable for vegetarians. Besides providing the world with outstanding tea, it is our mission to be profitable with as small a carbon footprint as possible. We love tea, but we love and care for the earth even more, which is why we are constantly looking for ways to reduce our carbon footprint. All our products are both Kosher and Halaal certified. Legend has it that masala chai was invented by a royal king in the ancient courts of India and Siam who protected the recipe as one of his treasures. There are those who say its roots can be traced unmistakably to the Hindu natural healing system Ayurveda, in which combinations of spices, herbs and sweeteners are used to cure bodily ailments. The original recipe was created out of the need for a remedy to combat minor discomforts for those without easy access to medical care.  As such, chai became available to the general populace who drank the tea daily for its cleansing and regenerative qualities. And others say masala tea evolved from the time when the British arrived and popularised tea drinking in the Indian sub continent. We do know for sure that since its beginning though, chai recipes have varied, and today, they differ by region, neighborhood and even by household. Recipes are handed down from generation to generation, so that having a cup of chai does not simply mean enjoying a relaxing beverage, in communion with family and colleagues but also experiencing a family tradition. Assam tea is the main ingredient in our black tea chai, and the traditional tea found in chai. Assam (Camellia sinensis var assamica) is a black tea named after the Assam region in the north east corner of India. This tea grown at sea level is known for its body, briskness, malty flavour, and strong, bright colour. Assam remains one of India’s least-populated regions. The mountains are inhabited by tribes whose way of life has not changed for thousands of years and its river is revered by the Assamese people. Home of the tiger and the one-horned rhino, this valley is dominated by the Brahmaputra River – a large slowly meandering river which over millennia of spring and fall flooding has deposited a rich loam over the valley. The soil is deep and sandy and the region suffers a very hot and steamy monsoon season, but equally important, a relatively dry and cool winter; perfect conditions for the Assam tea bush. Despite being mostly jungle and mountain, it is the world’s single largest tea-growing region, producing more than 1,500,000 pounds of tea annually. In India, chai is made by boiling the leaves in a mixture of milk, water and sugar and spices. The Assam teas produce a rich red colour when boiled, thus adding a beautiful colour which comes through the white of the milk, yet does not produce a bitter taste. The main ingredient in our rooibos chai. The shrub Aspalathus linearis, which grows up to two metres high, is endemic to the slopes of the Cederberg mountain range in the Western Cape, thriving on the area’s winter rainfall and coarse sandy soil. Its Afrikaans name comes from the fine needle-like leaves of the plant which turn red when they are fermented. It is not part of the plant family, it is officially recognised as a herbal infusion rather than a tea, yet is widely and fondly referred to as rooibos tea. For centuries, the indigenous people of the Clanwilliam region, the Khoi, made a tea from the rooibos by first cutting off the twigs, bruising the leaves with hammers, fermenting them and then drying them in the sun. Naturally attuned to the surrounding plant kingdom, the Khoi have relied on the rooibos herb as a powerful remedy against many ailments for hundreds of years. Rooibos tea is very popular as a health beverage since it contains no stimulants, such as caffeine, and only trace amounts of tannins. It is also rich in volatile compounds, minerals and other active ingredients which give it its favourable medicinal effects. Rooibos contains an abundance of flavonoids, which include aspalathin (found only in rooibos tea), nothofagin, vitexin, isovitexin, orientin, isoquercitrin, luteolin and quercetin. Many of its health-promoting properties are linked to the antioxidant effect of these flavonoids. Recent studies have shown that the tea’s antioxidant effect is made possible by superoxide dismutase (SOD) mimetic substances. SOD is one of the best-known enzymes in the human body able to neutralise free oxygen radicals as soon as they are formed. Free oxygen radicals cause damage to body proteins and fats, as well as to our DNA (or hereditary material). An imbalance in the body’s oxidant levels is believed to be a contributing factor in a broad spectrum of diseases, including atherosclerosis, inflammatory disease (for example, arthritis), heart disease, Alzheimer’s disease, cancer and Aids related diseases. The antioxidant effect of rooibos tea is thought to be similar to that of green tea. In addition, rooibos is also well known for helping relieve constipation, various types of inflammatory dermatitis, and even milk allergies in babies. The Japanese have also found that the tea helps suppress the occurrence of herpes simples in people who suffer from recurrent herpes. Drinking rooibos tea contributes to the maintenance of healthy skin, bones, and teeth and enhances the metabolic processes. • Rooibos tea also has anti-depressant and anti-asthmatic qualities. Minerals include iron, potassium, calcium, copper, zinc, magnesium, fluoride, manganese and sodium. Rooibos is used increasingly in skin care and baby products. Rooibos is processed in two different ways, producing two distinct teas, and is the main ingredient in our green rooibos chai. Ordinarily the green leaves and stems are picked, bruised and left to ferment. The fermentation process turns the leaves and the resulting tea into a rich amber colour, which led to the name ‘rooibos’, an Afrikaans word meaning ‘red bush’. Recent research conducted by the Agricultural Research Council (ARC), Infruitec-Nietvoorbij and the Medical Research Council of South Africa, has revealed that green rooibos contains more antioxidants than South Africa’s traditional red coloured brew. The new green rooibos is prepared in much the same way, but it is not fermented, which is why it is higher in antioxidants, as many are destroyed during the fermentation process. Unfermented rooibos has a mild taste which is reminiscent of green tea but without the astringent taste. Fermented rooibos on the other hand, has a stronger, sweeter, fruitier taste. Cardamom is one of the oldest spices in the world and was used widely in ancient Egypt to make perfumes. Its medicinal uses, however, are less well known. Cardamom has been employed in Ayurvedic medicine for thousands of years, and is an excellent remedy for many digestive problems, helping to soothe indigestion, wind, and stomach pain. Volatile oil research in the 1960s showed that the volatile oil has a strong antispasmodic action, confirming the herb’s effectiveness in relieving wind and treating colic and griping. When added to chai, cardamom helps inhibit the mucus-forming properties of milk, and is an excellent warming and anti-mucus stimulant to add to lung tonics. It also is used to treat enuresis (involuntary urination). Cardamom is used in India for many conditions, including asthma, bronchitis, kidney stones, anorexia, and debility and used, according to Ayurvedic diagnosis, to treat weakened vata. In China, the herb is taken for urinary incontinence and as a tonic. Cardamom is an effective treatment for bad breath, and when taken with garlic, helps to reduce its strong smell. The spice also has a long-lasting reputation as an aphrodisiac. As well as being one the world’s most important spices, cinnamon is an ancient herbal medicine, first written about in the Jewish religious text, the Torah. Cinnamon has a long history of use in India and was first used medicinally in Egypt and parts of Europe from about 500 BC. Traditionally, the herb was taken for colds, flu and digestive problems, and is still used in much the same way today. Cinnamon is a very mild spice that is well tolerated by a broad spectrum of people. It is now widely cultivated as a spice and a medicine, but, traditionally, only bark from wild trees was used for medicinal purposes. Clove is used as a herbal medicine, particularly in India and South East Asia. Native to the Molucca Islands, cloves were one of the earliest spices to be traded and were imported into Alexandria in AD 176. The clove bud contains the best essential oil, but the stems and leaves of the tree can also be distilled for their oil. It is strongly anaesthetic and antiseptic, and therefore useful in pain relief for toothache and as antiseptic for many conditions. Cloves have been used in South-East Asia for thousands of years and were regarded as a panacea for almost all ills. The antiseptic property of cloves makes them useful for treating certain viral conditions. In, tropical Asia, they have often been given to treat infections such as malaria, cholera and tuberculosis, and parasites such as scabies. Antispasmodic digestive discomfort, such as wind, colic and abdominal bloating, can be relieved with cloves. Their antispasmodic property also eases coughs and, applied topically, relieves muscle spasms. Cloves are a stimulant, both to the mind (improving memory) and to the body as a whole, and have been used as an aphrodisiac in India and in the West. They are cordial, warming and strengthening, soothing the nerves as well as stimulating them. Besides all their other uses, cloves can be used to treat acne, skin ulcers, sores and styes. They also make a potent mosquito and clothes moth repellent. Oranges studded with cloves were used in the Moluccas as insect repellents. Familiar as a spice and flavouring, ginger is also one of the world’s best medicines. It has been revered in Asia since the earliest times, and in medieval Europe it was thought to have derived from the Garden of Eden. Ginger is one of the most widely beneficial and warming stimulants. It is considered one of the best herbs to use for nausea and vomiting. It warms the centre (stomach), aids digestion and assimilation, relieves cold spasms and cramps and promotes menses. Ginger is highly effective for travel sickness. Trials at St Bartholomew’s Hospital in London in 1990 found the herb to be more effective than conventional medicines in relieving post-operative nausea. In a trial in China, 70% of patients with bacillary dysentery who were given ginger made a full recovery. Ginger is an excellent remedy for many digestive complaints, such as indigestion, nausea, wind and colic. It relieves travel sickness and morning sickness. Ginger’s antiseptic qualities also make it highly beneficial for gastro- intestinal infections, including some types of food poisoning. Ginger stimulates the circulation, and helps blood to lift to the surface, making it an important remedy for chilblains and poor circulation to the hands and feet. By improving the circulation, ginger helps high blood pressure. It also increases perspiration, and helps reduce body temperature in fever. Nutmeg is used primarily to stimulate the digestion and to treat infections of the digestive tract. It has also long been valued as an aphrodisiac and as a remedy for rheumatism. Nutmeg tea taken at night is a mild soporific which will induce sleep in the wakeful and is also given for a slow digestion. Nutmeg is a calmative helpful for vomiting, flatulence and to aid digestion. It can also be used for severe diarrhoea. In small doses nutmeg is a tonic. Nutmeg essential oil has an anaesthetic and stimulating effect on the stomach and intestines, increasing appetite and reducing nausea, vomiting and diarrhoea. It is a helpful remedy for many digestive problems, especially gastroenteritis. In China, nutmeg is used specifically for diarrhoea, helping to bind and warm the intestines, relieve abdominal pain and distension due to ‘cold’. Cultivated as a spice and a medicine since ancient times, pepper was a vital commodity in world trade for thousands of years. Attila the Hun is reputed to have demanded 1,360kg (3,000.1b) of pepper as ransom during his siege of the city of Rome (AD 408). The familiar sharp taste of pepper reflects the stimulant and antiseptic effect it has on the digestive tract and the circulatory system. Pepper is taken, either alone or in combination with other herbs and spices, to improve digestive function in cases of nausea, stomach ache, flatulence, bloating, constipation or lack of appetite. The essential oil eases rheumatic pain and toothache. It is antiseptic and antibacterial, and reduces fever. Black pepper is a warming digestive remedy and detoxifier. Black Pepper is shown to be an anti-oxidant, it reduces free radicals and prevents the depletion of glutathione, and it prevents the destruction of other anti-oxidants, such as vitamin A. With honey, it is a powerful expectorant and mucus cleanser, drying up secretions. It’s Tea, but not as you know it. We are extremely proud to stock a variety of boutique and specialty stores around the country. Including deli’s, health stores and coffee shops. My T Chai can also be found at all major retailers. Including Spar, Pick n Pay, Checkers, and Dischem Pharmacies. If you have any trouble at all in finding our teas, let us know by contacting us and we will advise as to your nearest stockist. Let’s Find You Some My T Chai! Please answer this simple question so that we know you are in fact human. My T Chai would love to hear from you! From store locations to feedback regarding our products, we are always available. Please complete the contact form and we’ll be in response soonest. 5. Unit G34 Boulevard Way, Capricorn Park, Muizenberg, 7945 is down to the right.